Quilters often take a lot of time piecing their blocks and square them up before assembly. The body of the quilt looks wonderful, color choices are excellent, and the quilt has the potential to be beautiful. That is, until the borders are added. 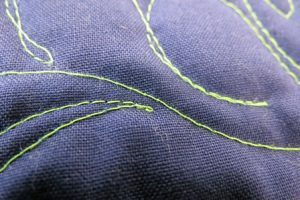 As a professional Longarm quilter, the borders are where I often see many problems. 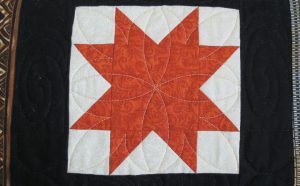 Incorrectly applied borders often lead to puckers, pleats, wavy borders and dog-eared quilts. All of this can be avoided. 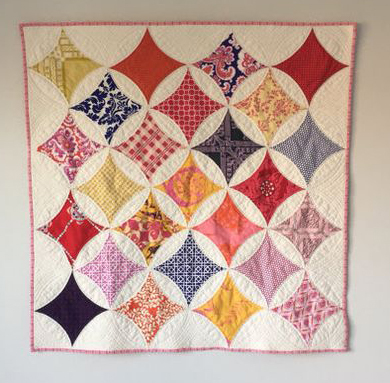 Although you may not realize it, one of the functions of borders is to stabilize and square up a quilt. Throughout the body of the quilt are cut (unstable) edges around the outside of each of the blocks Even though the patches may be cut on grain, the cut edges can stretch easily. When borders are added correctly to a quilt top, the edges of the body of the quilt are contained and restricted within the new measurement. The key word here is, applied or added correctly to achieve this. A quilt that could use borders to stabilize and square it up. 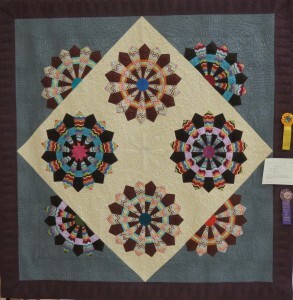 Notice distorted sides and wavy bottom on this quilt. Cut or make a long strip, stitch to one of the sides of the quilt and cut off the extra. 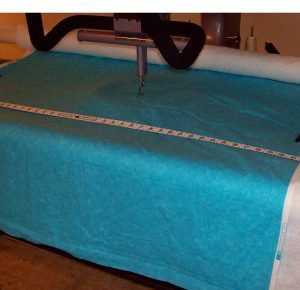 Because no measuring is done with this method, you have no idea how long one side of the quilt is compared with the opposite side of the quilt. If one side stretches out a little more when the border is stitched on, that side will be longer leading to a dog-eared quilt. Do not use this method to add borders to any quilt. Quilt with correctly applied borders hangs straight. Even though it takes a little longer, the correct method for adding borders involves measuring, using a little math, and perhaps easing in fullness. Measure across the area in three places, near the top and near the bottom, but never along the edge, and across the middle. Average the three measurements and use the average as the measurement to cut the length of both borders. Quarter the quilt top marking with pins. Quarter the border strip marking with pins. Align the quarter marks and pin the border to the quilt. Pin between the quarter marks distributing any fullness evenly. Placing the fullest side down, stitch together. 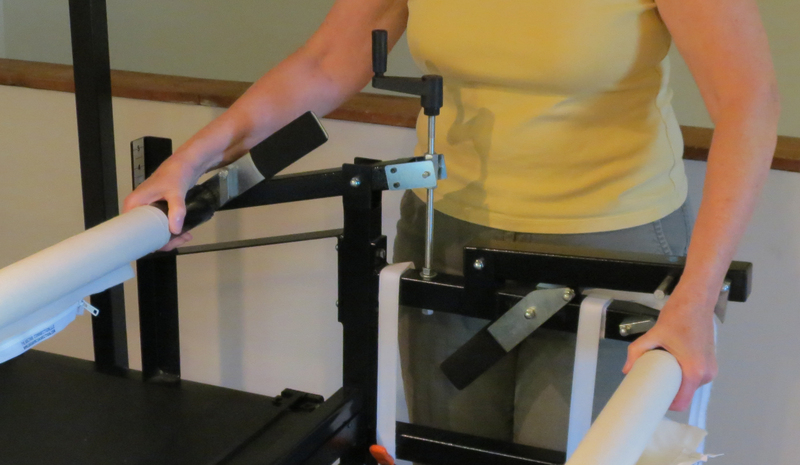 When the fullest side is down, the feed dogs on the machine gently pull the bottom through a little faster than the top. There are no puckers or pleats on the top or bottom. Press the border seam outward toward the border. Measure across the quilt and borders in three places, similar to #1, average the measurements as in #2. Follow steps #3-5 to add the other border. For a visual of this technique, see the video below by Dee Christopher. 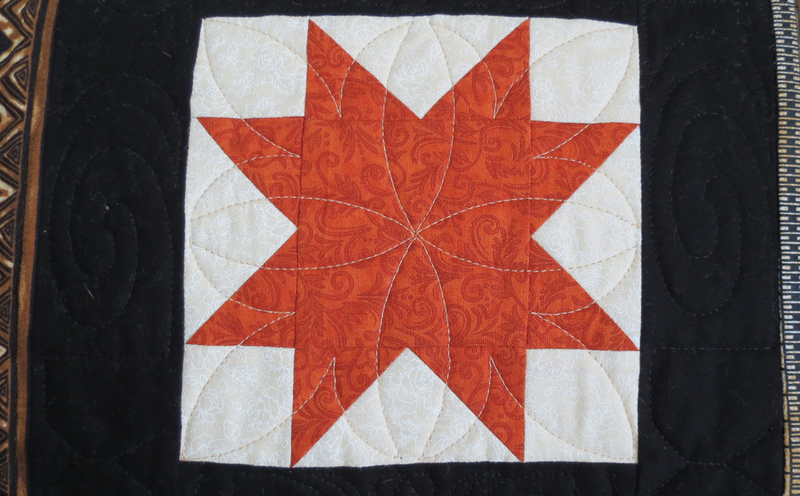 Video also demonstrates a bonus no math method for determining size of a pieced border. Whether you quilt your quilts yourself or have them quilted professionally, by taking the extra time to add borders correctly, your quilts will look much better with square corners and straight sides. Jenny briefly talks about different types of borders as well as how color choices affect the look of the completed quilt.